Taking anti-Saddam Hussein rhetoric to new heights, the USA has called the Iraq President a “terrorist” and said America will “go after him” in the event of a war. The USA was prepared to launch war against Iraq no matter if the UN granted its support to the offensive, US Secretary of State Colin Powell has said. UN Secretary-General Kofi Annan has appealed to the sharply divided Security Council to find a consensus over Iraq as the USA indicated it might not seek a vote on the second resolution and diplomats expressed anxiety over the effect of such an action on the working of the world body. Iraq began destruction of nine more of its banned Al-Samoud 2 missiles today, the largest number in a single day since the process began on March 1, an Iraqi official announced. 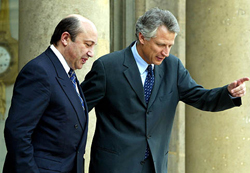 French Foreign Minister Dominique de Villepin (R) and Russian Foreign Minister Igor Ivanov leave after a meeting with President Jacques Chirac at the Elysee Palace on Wednesday. France and Russia reaffirmed their opposition to a UN resolution for a war against Iraq. In her first live interview in six years, entertainer LaToya Jackson appears on the CNN program "Larry King Live" at the CNN studios in Los Angeles on Tuesday. Ending a hostage drama that threatened to pose difficulties for Sri Lanka’s peace process, LTTE rebels today freed two security personnel following talks with Scandinavian truce monitors, officials said. The Pakistani jail authorities today refused to produce in court two Islamic militants charged with the killing of 11 French naval engineers and two Pakistanis in a suicide bomb attack last May. Troubled pop icon Michael Jackson paid a voodoo witch doctor $ 1,50,000 for a curse to kill enemies, including movie mogul Steven Spielberg, according to shocking revelations by a US magazine. “Well, certainly Saddam is the dictator of a State that is on the US terrorist list, so I see nothing that would indicate he is anything but a terrorist” White House spokesman Ari Fleischer told reporters yesterday in response to a question whether the Bush Administration considers Saddam Hussein to be a terrorist. 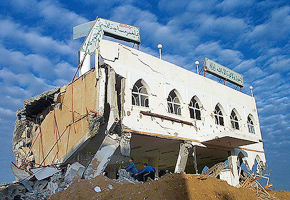 On whether the USA will go after him “overtly” as in the case of Al-Qaida chief Osama bin Laden, Mr Fleischer said “Yes. If force is used (to disarm Iraq), you can assume we will obviously not carve out a safety zone for Saddam Hussein”. Mr Fleischer, who was holding his briefing the day before the anticipated arrival of a Papal envoy to persuade US President George W Bush against a war, said “the President looks forward to receiving and greeting the Papal emissary to find out what message the Pope has on this topic”. The spokesman reminded Mr Bush’s earlier statement that he hoped that Iraq issue could be resolved peacefully, and that the onus lied on Saddam. On Pope’s comment that there is no moral or legal justification for war, Mr Fleischer said “If there are those who differ with the President on this, he respects their opinion, ideas and thoughts”. “The President listens carefully and, in the end, will make a judgement that he thinks is best needed to protect the USA”, Mr Fleischer said. Asked whether Mr Bush sees a moral or legal justification for war, Mr Fleischer countered that Saddam had violated the UN Security Council resolutions and he was not following the legal path that the world had set out to preserve peace. While Washington hoped that Iraq's disarmament could be achieved through peaceful means, if that failed, "the USA, with or without UN support, will lead the coalition of countries willing to join us to disarm Iraq by force," Mr Powell late yesterday told Russia's ORT television, according to a Russian translation. So far Mr Saddam Hussein has refused to "make a strategic decision" on disarming Iraq, yielding only when under pressure, Mr Powell said, adding "those ridiculous games are now over." However, Mr Powell reiterated that the US call for a new UN resolution on Iraq was not certain and would be decided by next week in the course of talks with "our colleagues, including Russia." Diplomats say rather than trying to reach a consensus, major powers continue to harden their positions and the hard-hitting political speeches are making finding a common ground harder and harder. The USA with around 300,000 troops and five aircraft carrier in the region and one on way to the Gulf, appears poised to attack Iraq, barring some dramatic development like abdication of President Saddam Hussein, which seems unlikely at present. Several foreign ministers are expected at the briefing to the Security Council by Chief Weapons Inspector Hans Blix and Director-General of the International Atomic Energy Agency (IAEA) Mohamed Elbardei on Friday which diplomats say could be the last before the American military action. Germany, France, Spain and Syria have confirmed that their foreign ministers will attend the meeting. Mr Annan told members to consider the implication of any unilateral action on the mandate to inspectors and the humanitarian work. He is optimistic that a common ground can be found, but the optimism is not shared by several other members who say the divide between the USA, Britain and Spain on the one hand and France, Russia and Germany on the other is so wide that finding a middle ground is becoming impossible. Council diplomats said the USA was not very keen on the resolution — something which White House spokesman Ari Fleischer made very clear. “The vote is desirable but not necessary”, he commented as Russia once again indicated that it might veto the resolution. Diplomats say Britain is keen on vote as adoption of resolution would take pressure off the back of its Prime Minister Tony Blair. “The operation continued today at Al-Taji (military site) under UN supervision,” said the official, who asked not to be named. “Nine missiles are to be destroyed today,” he said. UN spokesman in Baghdad Hiro Ueki said inspection teams supervising the work had left their base, but refused to say how many missiles were to be destroyed. About the telephonic conversation, Mr Fleischer said Mr Bush and Mr Vajpayee spoke and agreed about the need for Iraq to fully disarm and comply with the UN Security Council Resolution 1441. The LTTE released a soldier taken hostage in December and a policemen seized last month after talks with the chief truce monitor, Norwegian Army General Trond Furuhovde, who travelled to the rebel-held Kilinochchi town for the crucial parleys, the officials said. The two men were detained by the rebels after they were found in the rebel-held territory. Speaking on behalf of jail’s Director Rashid Saeed, Mr Khaliq said the pair were “dangerous criminals and their production could cause a security problem,” a court official told AFP. 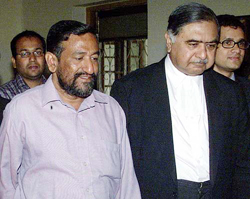 Judge Feroz Mohammad Bhatti adjourned the hearing until March 10. Asif Zaheer, from the Harkat Jihad-ul Islami militant group, and Mohammad Bashir, from the outlawed Kashmiri militant group Harkatul Mujahedin, are charged with murder and terrorism. Both charges carry the death penalty. They allegedly helped plot the ramming of an explosive-laden vehicle into a bus carrying the French engineers outside Sheraton hotel in downtown Karachi. The engineers were helping Pakistan’s navy build its second Agosta 90-B submarine. Two Pakistanis and the suicide bomber who drove the car were also killed. Vanity Fair also reported in its April edition that Jackson wears a prosthetic nose that covers his original, surgery-wrecked proboscis that now makes him resemble a “mummy with two nostril holes.” The revelations came in a 10,000-word article by Maureen Orth, who has been studying Jackson since child abuse allegations first surfaced about him 10 years ago, and included details of an alleged voodoo ceremony in Switzerland.